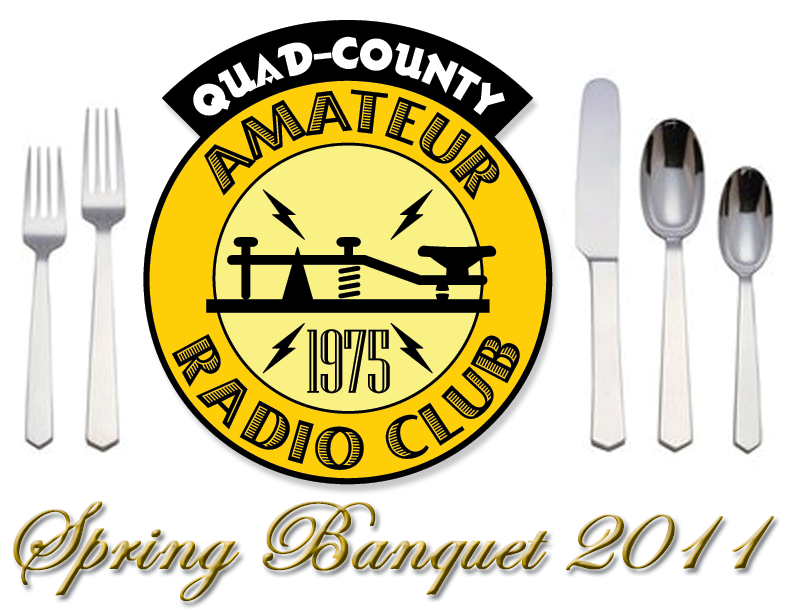 On Saturday, May 14, 30 local Radio Amateurs and family members gathered at the Fort Worth Hotel Restaurant in downtown Du Bois to take part in the Quad-County Amateur Radio Club Spring banquet. 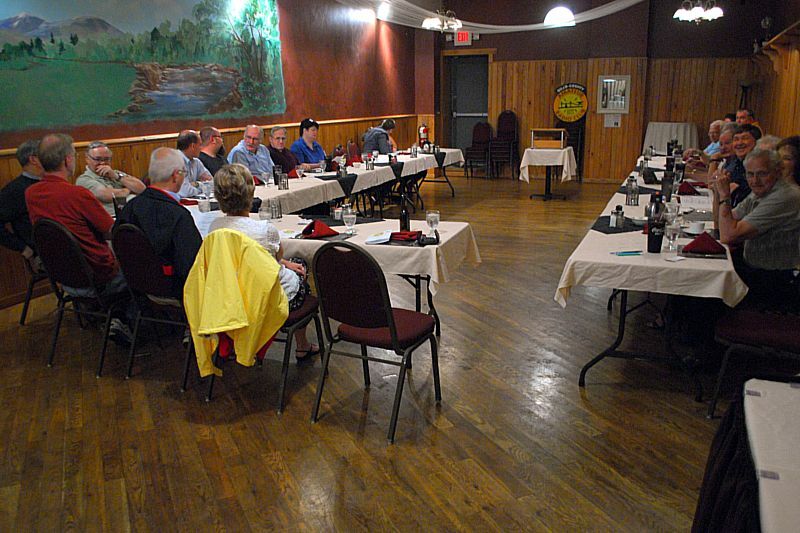 Those attending were from Du Bois, Clearfield, Emporium, Brookville, Big Run, Curwensville, Strattanville, Falls Creek, Rockton, Morrisdale, Centre Hall, Brockway, Bradford and Butler. 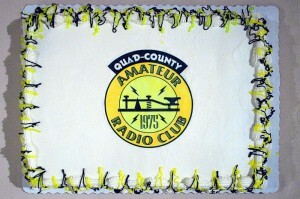 After an enjoyable buffet dinner of pot roast and stuffed chicken breast entrees, dessert was served from a cake featuring the Quad-County Amateur Radio Club Emblem. 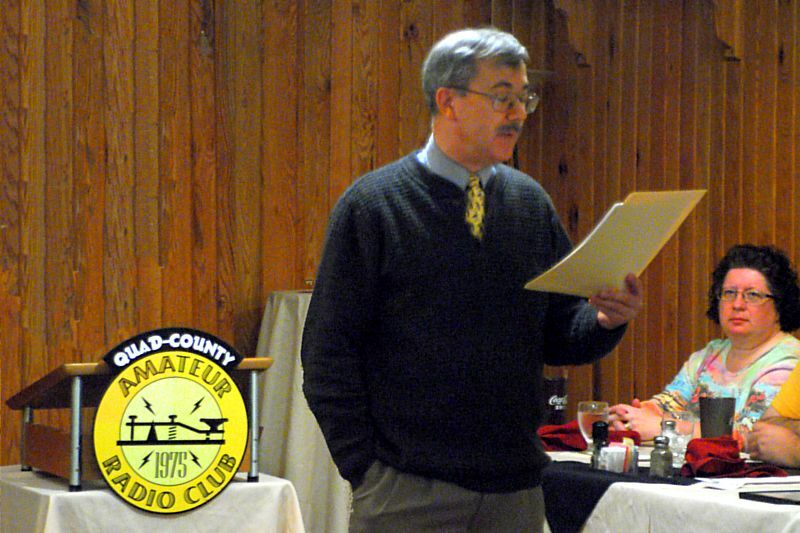 Club Founder and Master of Ceremonies Joe Shupienis W3BC, Publisher of The Parasitic Emission newsletter and the ARRL guest speakers presented Author Awards to all those present who contributed to the newsletter. 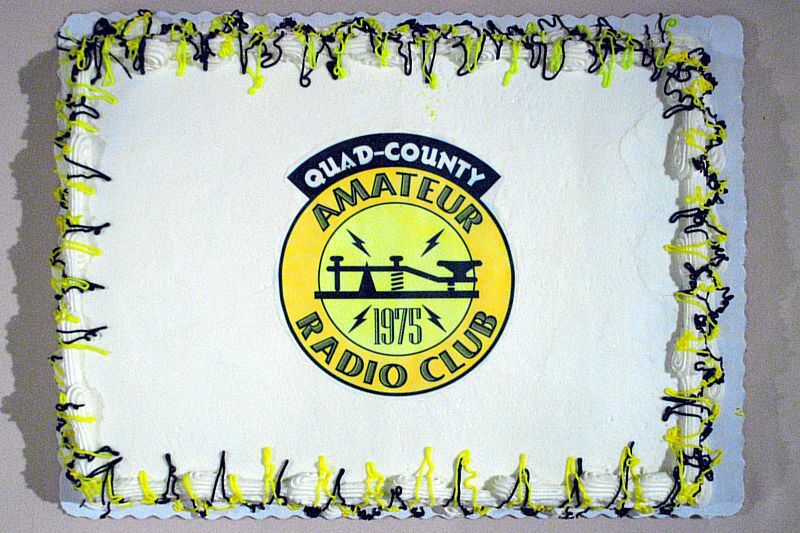 The longest-licensed and the newest Amateurs were recognized for their contributions to Amateur Radio and to their communities. Those who serve as Volunteer Examiners were also honored for their service. 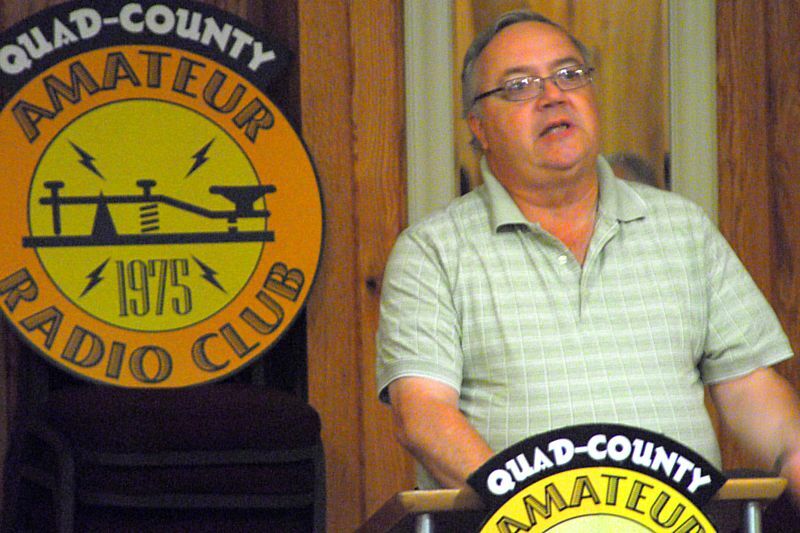 John Rodgers N3MSE, Western Pennsylvania Section Manager of the American Radio Relay League, the National Organization for Amateur Radio, gave an update on current activities in the Western Pennsylvania Section and important information on matters affecting Amateurs nationwide. At the conclusion of his remarks, he introduced the evening’s keynote speaker, Bill Edgar N3LLR, who serves on the ARRL Board of Directors as the Atlantic Division Director. Director Edgar gave a very inspiring talk about the importance of local Amateur Radio Clubs, saying the local club is “where the rubber meets the road.” He discussed the services the ARRL offers local clubs, and strongly encouraged all in attendance to contact the ARRL for assistance in making their club stronger and more vital. 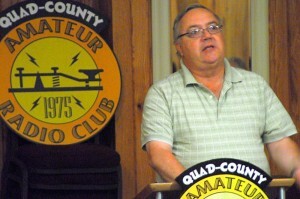 He congratulated the Quad-County ARC on its 36-year history, and for its current accomplishments. 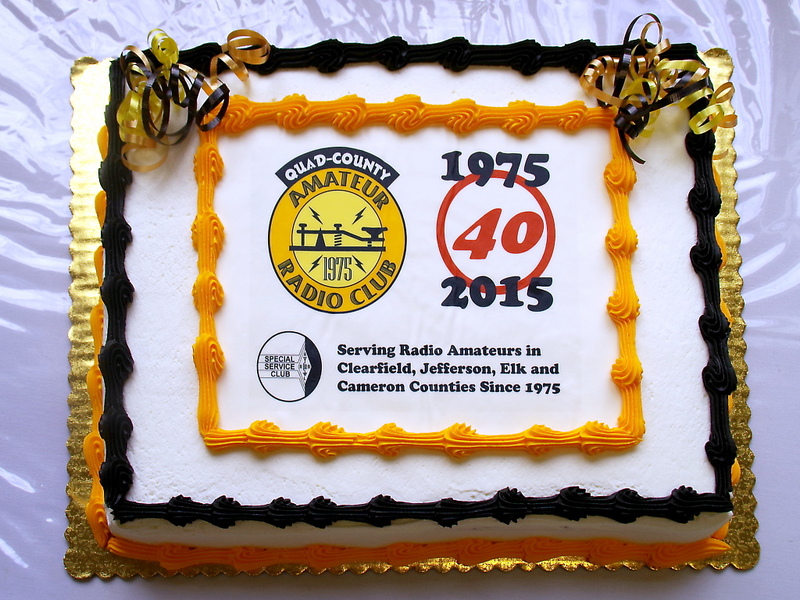 Following the keynote address, Club President Doug Rowles W3DWR was assisted by MC Joe Shupienis W3BC and the ARRL guests in distributing awards and certificates to the club members. 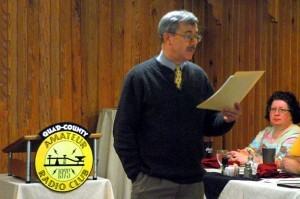 Herb Murray W3TM received the Outstanding Service Award for 2010 in recognition for outstanding service to the club and membership while serving as Program Coordinator. The long-overdue Charter Member certificates were presented to those charter members in attendance: Sham Hollopeter W3QOS, Bill Zavatsky K3QEQ, Bryan Simanic WA3UFN and Club Founder Joe Shupienis W3BC (WA3IHK). Certificates of Appreciation were presented to speakers Bill Edgar N3LLR and John Rodgers N3MSE both for their participation in our banquet and in recognition of their extraordinary service to all amateurs in our ARRL Section and Division. Finally the prize drawings were held, with Janet Lovesky KB3ABK taking home the Grand Prize, a brand new Puxing PX-2A portable UHF transceiver. After that, everyone stayed on and chatted with old friends and new for quite a while while the restaurant staff bussed the room. The food was great, the speakers were interesting, the prizes were much appreciated, and the conversation shared with friends was extraordinary! 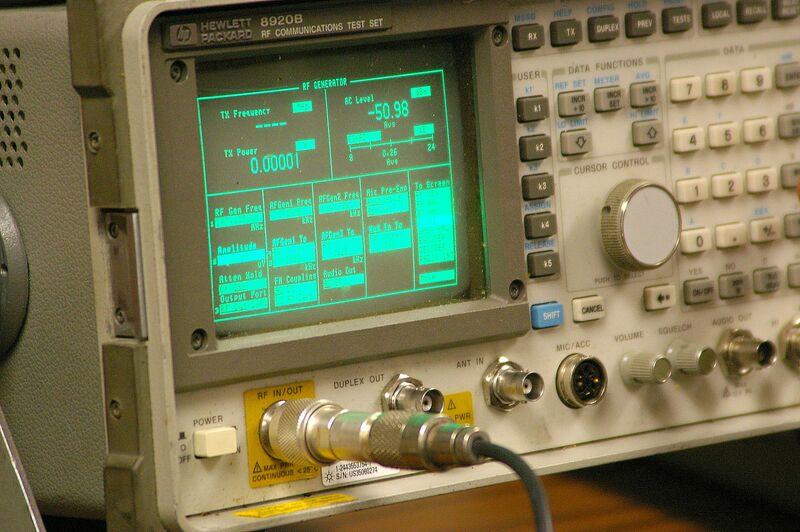 Our thanks go out to everyone who participated and we look forward to seeing everyone again soon at our next event! I have 100 ft. of parashute cord and a tarp if necessary. I made the first batch of BUX Sauce this morning. Turned out well.